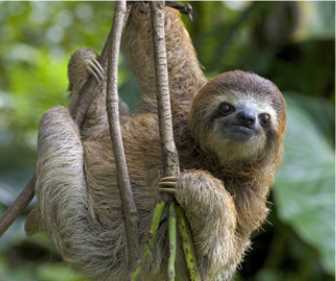 Grandmothers, sail boats, even this little fella right here - the mighty, tree sloth. 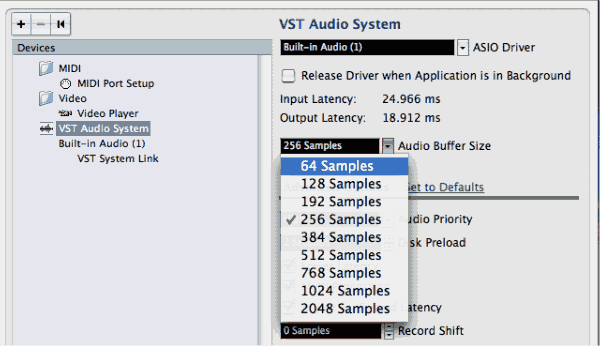 But digital recording latency is definitely NOT part of that list! Perhaps that's why more than most any other topic, this one is brought up endlessly in forums and chat rooms. (Well maybe not more than Macs vs PCs), but the point is you get strong opinions on it. But does it really even matter?!? Just like any controversial topic worth your time... It Depends! Are you about to use a bunch of crazy terminology? Drivers - these are the software links between your device and the overall operating system. For example, your printer, mouse, or audio interface and Windows 7. CPU - this refers to the actual processor inside a computer and is not an abbreviation of the computer itself. For example, an Intel Core i7 processor. A/D Converters - Analog to Digital converters take the analog electrical signal produced by your input and convert it into a digital form that your computer can understand. The reverse of these are called D/A converters and do exactly what you think they would do after reading that last sentence. Hard Drive - is the storage space of your computer system. Mechanical drives physically spin and transfer data much slower compared to solid state drives that have no moving parts. The bigger this number is - the more stable but slower your audio is processed. The smaller this number is - the less stable but faster your audio is processed. Software Monitoring - with this enabled, the audio you hear from your output monitors has been processed by your computer, allowing effects from recording software plug-ins to be added to your raw signal. Direct Monitoring - bypasses the processing portion of your recording system, sending the audio signal straight to your output monitors. Basically, your computer has been cut out of the signal chain. Virtual Instruments - could be software synthesizers, guitar pedals or cabinet plugins (like AmpliTube or Guitar Rig), pretty much anything simulated using your computer. Depending on the specifics these may require massive amounts of computing power, especially if they are desired to be played in “real-time”... more on this further on. So after all that setup... What Is Latency? Simply put, latency occurs when something happens later than expected. This also may be referred to as lag, bottle necking, getting bogged down, and many other popular terms. The point is that you want something to happen at a certain time... and it is late. Now, when you record something digitally - it goes through a fairly complex chain of events to record your future hit-song onto your faithful, trusty computer. Let's simplify that process for now just to illustrate the point. 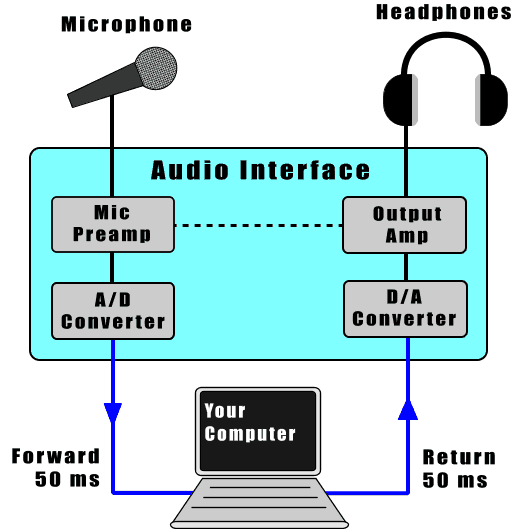 To make it more concrete let's say you are singing into a mic (sounds waves through air hit the mic and produce an analog electrical signal). This analog signal goes to a Mic Preamp (which amplifies the low signal level from the mic - this happens inside your audio interface). Next the amplified signal goes into the A/D converter (which converts it into a digital signal - also inside your audio interface). Finally, this digital signal is sent to your computer. This is the first leg of the journey, and let's call it the Forward path. Just for the purposes of the example let's say that whole process takes 50 ms.
We’ll call this the Return path and define it to take 50 ms as well. Now that I've written that all out I'm realizing a picture right about here would be BEAUTIFUL. In the picture above the black lines represent analog signals, while the blue line represent digital signals. Lastly, the dotted line represents the path taken by the signal when using Direct Monitoring, while the solid lines represent Software Monitoring. Enough background - Let's talk about some specifics! You are playing back your already recorded tracks as part of a mixing project or maybe just to review the current take. Do you really care if it starts 50 ms after you hit play? No. All the tracks play in sync with each other and so latency here is really irrelevant. It is still technically present, but since it doesn't cause misery and gnashing of teeth - you don't need to worry. You are playing back a track AND recording over top of it - imagine singing along with a recorded guitar track you already laid down. In this case you get the 50 ms on the return path and 50 ms on the forward path for a total of 100 ms.
Whoa! So I have to shift everything 100 ms to get it to line up??? Not really - and if you’ve tried this for yourself you realize that even though the numbers add up - this isn’t what happens. Why not? Your recording software measures this delay and knows to offset your overdub so that it lines up correctly. Pretty nice of those software developers right? Yeah… but mostly they did it because if they didn't there would be people lined up with torches and pitchforks trying to run them out of town. Lesson Learned: It seems that the recording software folks don't want us chasing them through the streets like Frankenstein... also it looks like I don't really need to worry about this type of latency either. Ahhhh now we’re onto something. How could a time lag in this instance become a MAJOR pain in the backside? Imagine you have your electric guitar going directly into the preamp on your audio interface without going through a standalone amp setup. This effect is applied within your computer so now the time delay from the moment you jam a power chord out and when the sound is produced by your studio monitors is significant enough to throw you off your game. Like any hot-blooded lead guitarist, I know you NEED this effect in your recording - so here’s how to optimize your system and minimize the latency for this case. Lesson Learned: Now I get it! This is what the fuss is all about, and rightly so - delays during recording will totally mess up my performance. I'm not a diva or anything... I just really want all the green M&Ms picked out of my bowl in the dressing room. That's all. Also some white doves... kissing. Tonight you can party like it’s 1999 - but you shouldn’t expect that a computer bought then will get this job done. The most important things you can upgrade are the CPU processor and hard drive. Get the fastest processor you can reasonably afford and a solid state drive to run your operating system and recording software from. These will give you the biggest bang for your buck when selecting a new machine or budgeting money for upgrades. I'm not talking about the folks behind the wheel at the retirement home parking garage either! Using outdated or incorrect drivers will crush your throughput capability and as a result increase your latency. For this reason I recommend resisting the temptation to upgrade immediately to a new operating system. Drivers always lag significantly behind these releases, and without solid drivers you will basically only be paying to beta-test their compatibility with your setup. Use the drivers recommended by the manufacturer and always get the latest ones they offer from their official website. There is a buffer parameter you can adjust in your recording software that will look something like this screen shot from Cubase below. The specifics may be different, but all recording software has a screen that resembles this usually in the "options" or "preferences" menu. Start with 512 samples and work your way up (384, 256, etc) - at each step trying to play your instrument with effects applied. If you hear cracking, pops, or the program crashes you went too low. Back it off one and try again. Every system will be slightly different so you just need to play around and find the settings that work for you. Are there any other options to what is laid out here? Of course - in an attempt to make customers happy (which equals money) manufacturers have developed somewhat of a hybrid method which uses a DSP (or digital signal processing) module as part of your audio interface’s hardware. This allows certain popular effects (such as compression, EQ, & reverb) to be added on the audio interface hardware itself without going to your CPU (which as we now know costs us time). The drawback being you can’t apply any effect, only the ones they include, but this is the trade-off for reduced monitoring latency. Everything outlined above deals with this issue in pretty general terms. There are some nuances that I didn't discuss, but now that you have the big picture under control you can do a little more digging to get the complete story. If it was really this straight-forward there would be no controversy, but in the interest of describing the basics of this concept I simplified some of the more technical aspects of latency. The good news is that, like so many things in life, this is not nearly as bad as people make it sound. With a little knowledge and some realistic expectations it can be managed effectively, leaving you more than enough sweet sounding effects to create the title track to your symphony within. It took me way too long to get this page up and posted on the site... but then again... maybe it's just poetic justice and couldn't have happened any other way. Now if I could only minimize the latency in my personal motivations... maybe tomorrow.